Zen-walking with Zenwalk 4.8: Zenwalk, formerly known as Minislack, is a Linux Distribution based on the solid foundation of Slackware. The dolphin (known as fast and intelligent) that is used as its logo, epitomizes its aim to create a lightweight Linux operating system through the integration of the most up-to-date software packages available for a stable release, optimization for specific processor architecture to increase execution speed, and introduces a comprehensive package management system with dependency resolution. I have been Zen-walking before on my backup computer, until I decided to replace it with Absolute Linux. I’m still happily testing Absolute right now, but I’m already eager to try out the latest Zenwalk release version which is 4.8. So I downloaded the 420MB ‘full version’, and then tested it on VMWare as I don’t want to touch the Absolute partition for the moment. My other reasons for testing an OS using virtualization software can be found in one of my articles HERE. Zenwalk Linux was founded in France by Jean-Philippe Guillemin. It was first released on May 21, 2004 as Minislack 0.1. Zenwalk can now be considered as the most popular 'complete' lightweight desktop because of its high ranking in Distrowatch; as of the time being, it is listed at number 13. The ISO image for Zenwalk 4.8 ‘full version’ can be directly downloaded from here. I loaded the ISO as guest OS on the Workstation. Then, when the familiar Zenwalk prompt for adding boot options parameter appeared, I typed ‘scsi’ as the virtual disk is SCSI by default. Next, I was taken to the text-based Zenwalk setup screen. I then opted for ‘Autoinstall’ option, and from there it was smooth sailing. All of the packages were completely installed in less than 15 minutes and the Virtual hardware were properly detected. One of the things I like most about Zenwalk is the fast boot/startup and shutdown speed. My screen resolution was set to 1024x768. Its default XFce desktop is so responsive and very simple-looking, not too sleek but not too rough. I find the desktop very user-friendly because the icons and panels are well-arranged for quick and easy access to essential applications. Plus, some good-looking themes and Zen wallpapers are available if you want to customize the look. The package management tool used by Zenwalk is called ‘netpkg’. A little overview, netpkg is developed in-house, and it provides the main functionalities of the apt-get variety of package managers. It uses Slackware's .tgz package format, but adds dependency resolution capabilities. 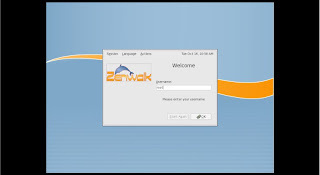 A GUI can be used to easily maintain packages in Zenwalk and there plenty of pre-installed free and open-source applications to choose from. 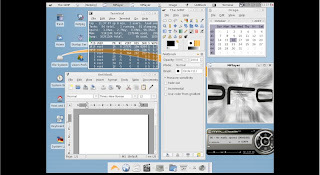 This includes IceWeasel web browser, IceDove, Gnumeric spreadsheet, AbiWord, Mplayer, Python, Perl, Samba and a lot more. Zenwalk’s stability can’t be denied since I have used and tested the version 3.0 long enough, and it never failed to deliver the goods. I can say that this new version is also very stable indeed based on the initial tests I made. I opened several applications and tested several programs simultaneously without a single hitch, a proof that it can be efficiently used for a much longer period of time. Zenwalk has done it again. I am honestly pretty pleased with this new version. The fast installation and the very responsive desktop is what I love most about it. Its server side capability is also a plus. 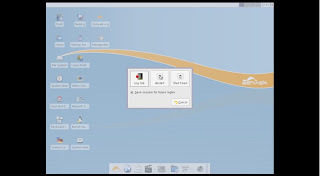 I would not recommend Zenwalk to Linux first-timers because of its text-based installer, but to those who are persistent enough, using it and setting it up is fairly straightforward. Zenwalk, as the name implies, gives an enlightening experience to its users because it is a joy to use and its reliability is outstanding. Great review. I want to know if Zenwalk has DVD support? @qwerty thanks for your comment and for reminding me. Zenwalk plays DVD out-of-the-box using Mplayer. It has also no problem in playing MP3. Thank you for this review. Does the new Zenwalk release include madwifi and wpa supplicant ? The text based installer shouldn't put off a newbie. I installed Vectorlinux (with a very similar installer) as a newbie, and all I had to do was follow instructions. It was fine. This Zenwalk installer is pretty straight forward. @Christopher. Thanks. Good to hear from a fellow Filipino Linux User. No out of box DVD playback available on ZenWalk. Nice review. I hope it has Flash support (in the web browser) too, does it? Also, does it have MC / Nano, CLI based editors?